We have a passion for business improvement and leadership hence we identify with those who are overwhelmed by the challenges of choosing the appropriate approach to developing their business or creating a path to take charge of their business goals. Our objective is to guide individuals and businesses through the process of establishing an effective plan, understand the methodology and implement an action plan to grow their business enterprise. We employ extensive and objective analysis to identify obstacles and set priorities by designing a plan of action that capitalizes on the strengths of individuals and companies while supporting their weaknesses. We identify with those who are overwhelmed by the challenges of choosing the right approach to developing their business. Our objective is to guide businesses through the process of planning and implementing the action plan to grow their enterprise. We also teach and implement various management and financial tools that utilize principles and systems which we have created. Our aim is to provide a realistic guide on how to successfully manage and develop your business in a practical environment. To effectively understand how you and your business functions, we immerse ourselves in your business, schedule face-to-face meetings and review your business communications. In addition, we educate and guide you to improve each of the key business components that will make you more effective, confident, efficient and profitable. Capital & Investments Brokerage Services. 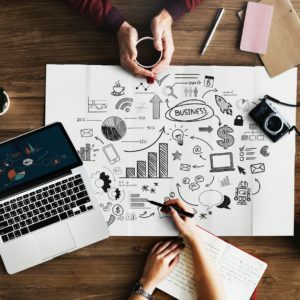 We are one of the fastest growing business support companies with a reputation of providing innovative business solutions and exceeding expectations. •	Capital & Investments Brokerage Services. Our pricing is transparent. Find all the details you need here and contact us if you have further questions. When it comes to business consulting, there is Brimass at the top and everyone else way behind! Brimass Limited provides leadership, strategies, support, education, and guidance to businesses throughout each stage of their development: creation, growth, maintenance of businesses, enterprises and personal finance. Eshrow House, 7 Onikep Akande Street, Off Admiralty Way, Lekki Phase 1. Victoria Island, Lagos.